It's been a big year for Vin Diesel already, having starred in the massive blockbuster Furious 7, which took in over $1.5 billion worldwide. 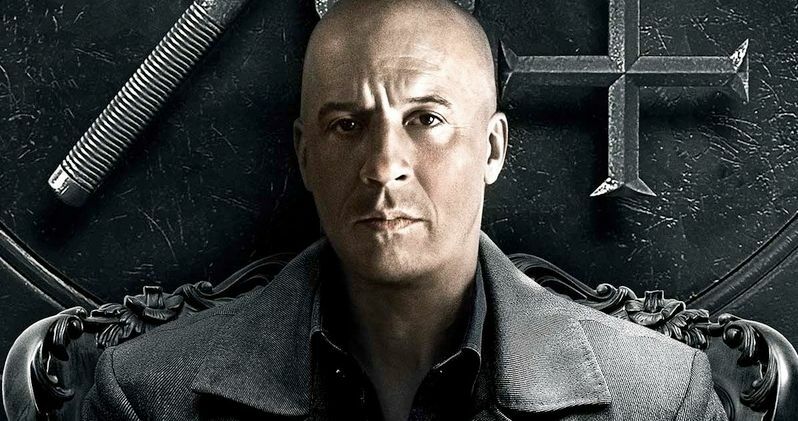 The action star is hoping to start yet another franchise this weekend with the release of The Last Witch Hunter, with the actor revealing in June that a sequel is already in development. Before The Last Witch Hunter hits theaters on October 23, we have a new contest lined up where fans can win a prize pack that includes a hat, t-shirt, temporary tattoos and the final poster. The modern world holds many secrets, but by far the most astounding is that witches still live among us; vicious supernatural creatures intent on unleashing the Black Death upon the world and putting an end to the human race once and for all. Armies of witch hunters have battled this unnatural enemy for centuries, including Kaulder (Vin Diesel), a valiant warrior who many years ago slayed the all-powerful Witch Queen (Julie Engelbrecht), decimating her followers in the process. In the moments right before her death, the Queen cursed Kaulder with immortality, forever separating him from his beloved wife and daughter. Today, Kaulder is the last living hunter who has spent his immortal life tracking down rogue witches, all the while yearning for his long-lost family. However, unbeknownst to Kaulder, the Witch Queen has been resurrected and seeks revenge on her killer, leading to an epic battle that will determine the survival of mankind. The supporting cast includes Rose Leslie, Elijah Wood, Ólafur Darri Ólafsson, Rena Owen, Joseph Gilgun and Isaach De Bankolé. Breck Eisner (The Crazies) directs from a screenplay by Cory Goodman (Underworld 5), Burk Sharpless & Matt Sazama (Dracula Untold). The Last Witch Hunter will have plenty of competition at the box office this weekend, going up against Universal's Jem and the Holograms, Paramount's Paranormal Activity: The Ghost Dimension, the final installment in the long-running Paranormal Activity franchise, and Open Road Films' Rock the Kasbah. We'll have to wait and see how The Last Witch Hunter fares in this busy weekend. You're just a few clicks away from taking home The Last Witch Hunter prize pack, so take a look at how you can win below. Be sure to stay tuned for more details on the upcoming sequel to The Last Witch Hunter, and check back on Sunday for our full box office analysis, to see how The Last Witch Hunter stacked up to the heavy competition. Do you plan on seeing The Last Witch Hunter in theaters this weekend? Let us know what you think after checking out all the prizes you can win in this giveaway. HERE'S HOW TO WIN! Just LIKE (fan) our Facebook page and then leave a comment below telling us why these prizes must be yours! If you already "Like", just leave a comment telling us why these prizes must be yours!